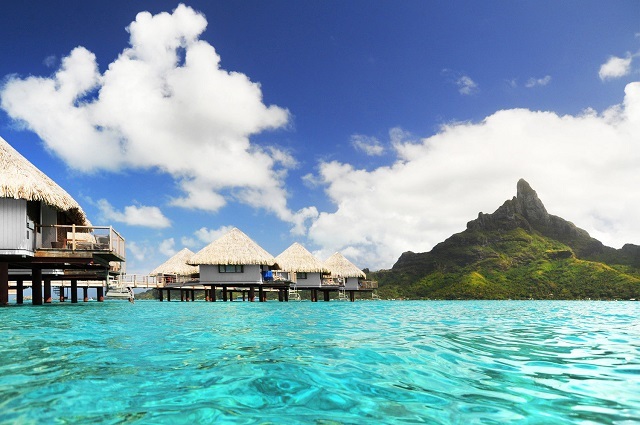 Escape to paradise with this Bora Bora special. 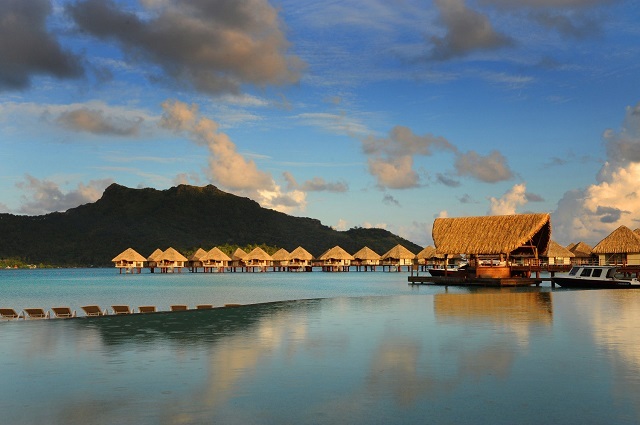 You’ll enjoy five nights at the trendy Le Meridien Bora Bora Resort, and save up to 40%. High season dates are also available. Must book by July 31, 2018. With dramatic views of Mt. 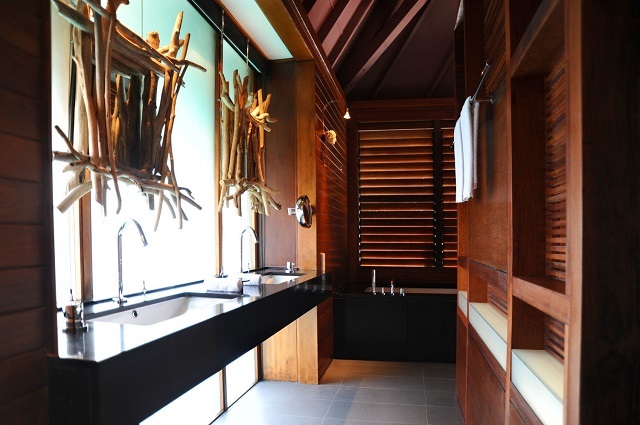 Otemanu and the surrounding lagoons, all bungalows incorporate a contemporary design with Polynesian touches like a wooden canopy bed, black stone double sink and sunken bath tub, and large panoramic windows. The Beach Bungalows are mere steps from the sandy shores of the interior lagoon and feature a private deck and hammock, perfect for lounging nearby. 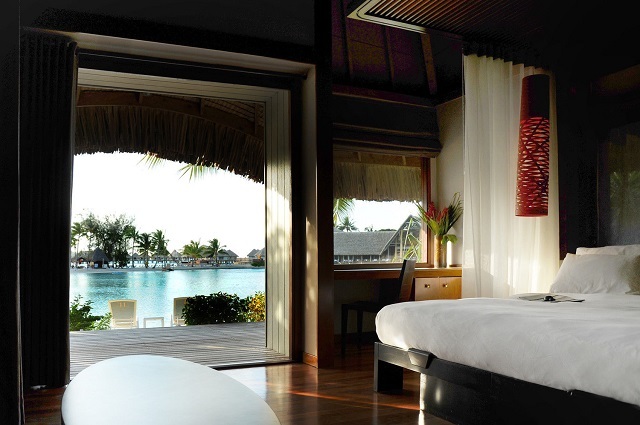 The overwater bungalows at Le Meridien feature the largest glass floor panels of any resort in French Polynesia. You’ll love watching the blue hued waters and sea life below. 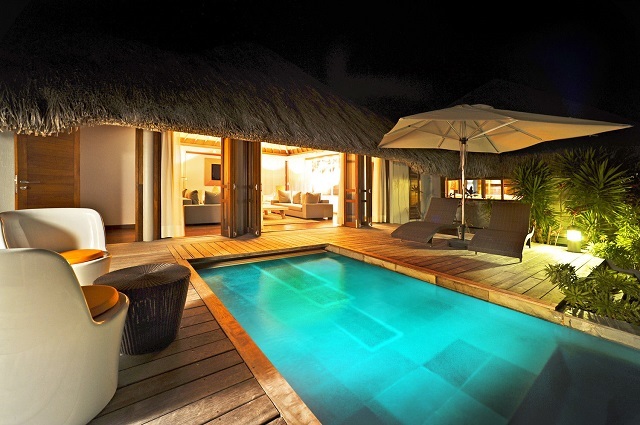 Step onto your private deck where you can spend hours relaxing, or descend from your private ladder to the lagoon below. These bungalows are located farther out on the pontoon with lagoon, motu, and partial island views. Offering the same interior size and layout as the previous categories, these bungalows offer an extended and more spacious deck area and are located farther out on the pontoon with views of Mt Otemanu. 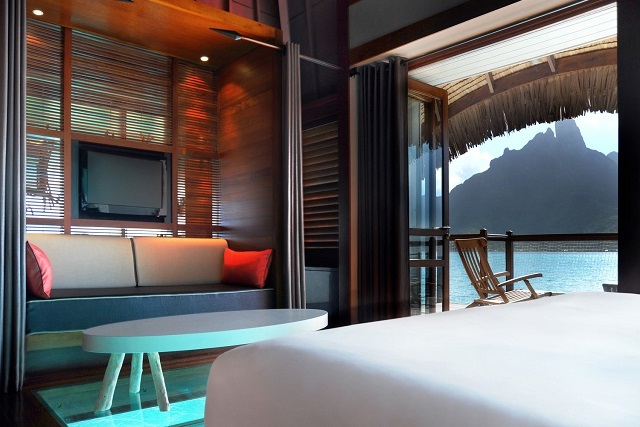 Five nights at the Conrad Bora Bora Nui with a 25% discount, 200 Euro resort credit, and complimentary upgrade. This special must be booked by August 31, 2018. 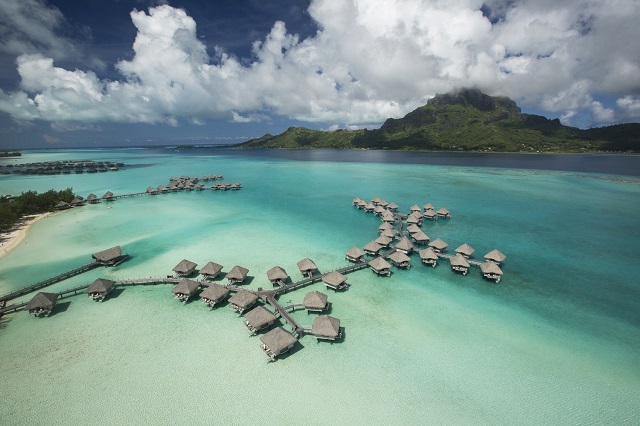 Enjoy 5 star luxury at the Four Seasons Resort Bora Bora at one of the most luxurious resorts on Bora Bora! 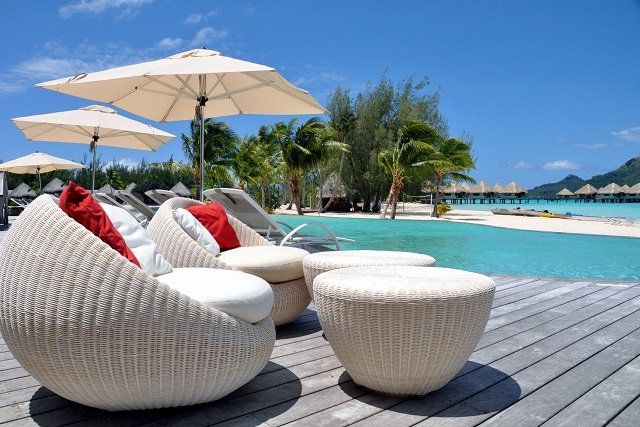 Guests receive up to 40% off AND a 100-200 Euro daily resort credit during your stay. 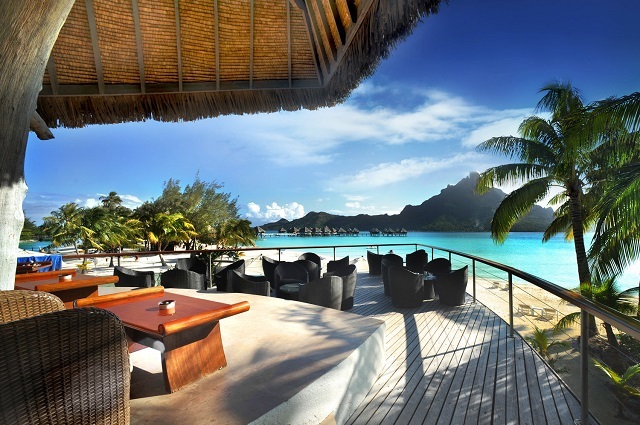 Escape to paradise with this Bora Bora special. 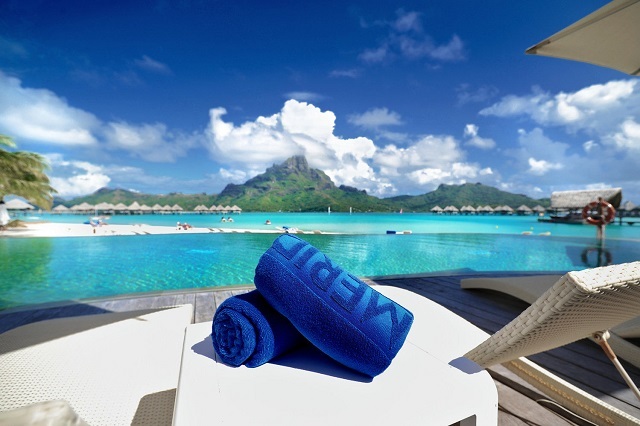 You'll enjoy five nights at the trendy Le Meridien Bora Bora Resort, and save up to 40%. High season dates are also available. Must book by July 31, 2018.